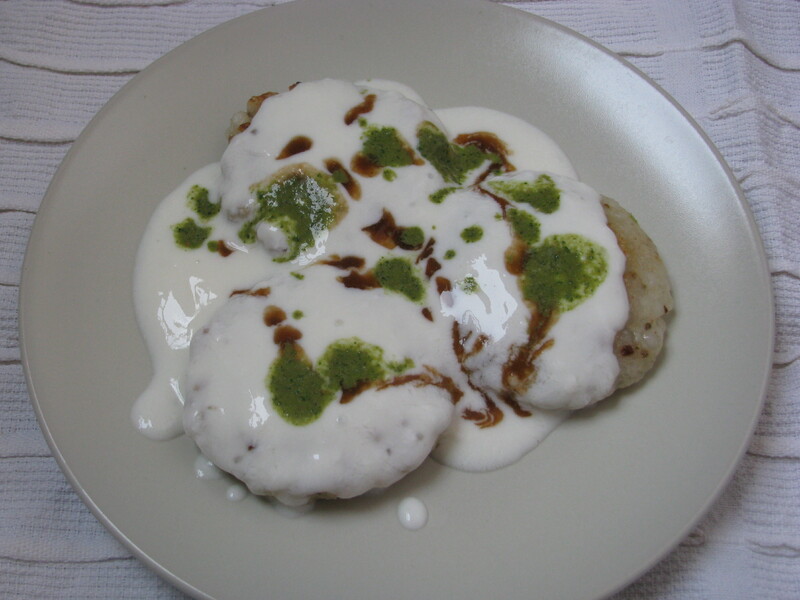 Sabudana ki Tikki is the tasty variation of Sabudana Vada. Sabudana Vada is a fried recipe made for fast (vrat , upas) .In Pune most eateries serve Sabudana Vada with curd and green chutney . By adding curd ,green chutney and tangy tamarind chutney you can make this Sabudana Vada even more tasty .Sabudana Vada soaks lots of oil so most of the time I make this roasted Tikki of Sabudana with Sabudana Vada batter. Sabudana Vada is high calorie snack as it is made of Sabudana (rich in carbohydrates) , peanuts (shengdana, moongphalli) which is rich in fats and potatoes , when you fry this ingredients, it soaks lots of oil and the calorie count increases almost 3-4 times . 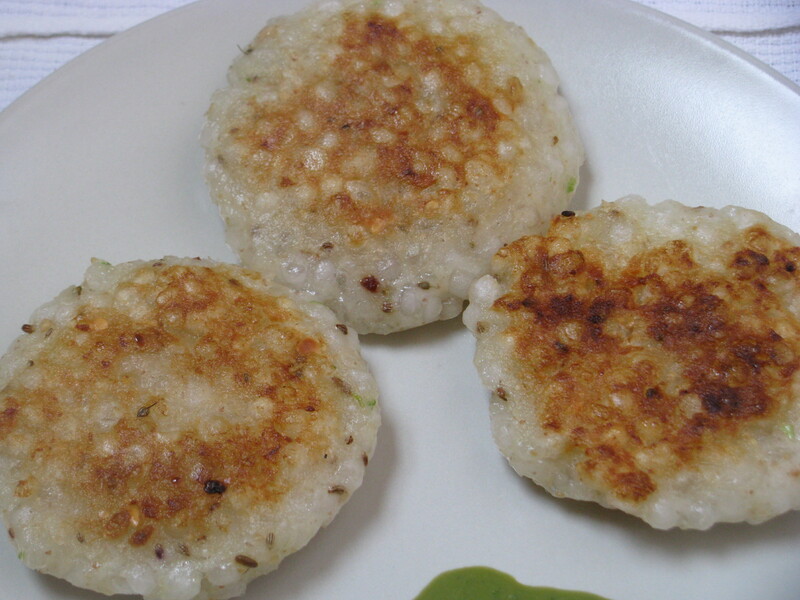 This non fried Sabudana Tikki tastes good and for calorie conscious its low in calories than Sabudana Vada. How to Make Sabudane ki Tikki More Healthy ? Sabudana has some health benefits it is rich in carbs and provides instant energy.Sabudana Tikki recipe which I have explained is for fast , vrat or upas , if you want to make it for just another day you can add finely chopped french beans ,carrot , cabbage ,cacapsicum ,grated paneer or tofu to make it rich in vitamins , fibers and proteins . 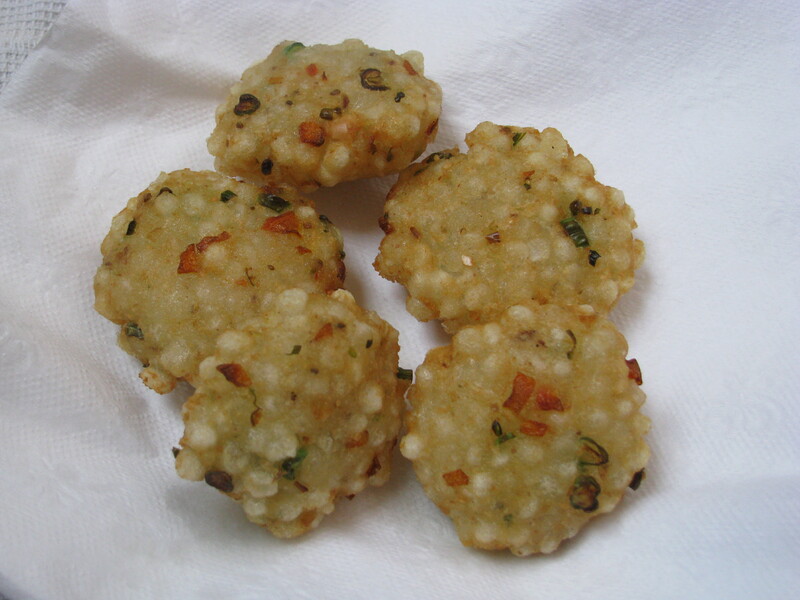 With potatoes you can mixed this finely chopped vegetables in Sabudana Vada batter and make a healthy snacks for your kids .To enhance the taste of this you can add curd , green coriander chutney and tamarind chutney or serve them as it is as most of the kids loves finger foods as compare to runny one . As I said Sabudana has lots of carbs it provides instant energy . 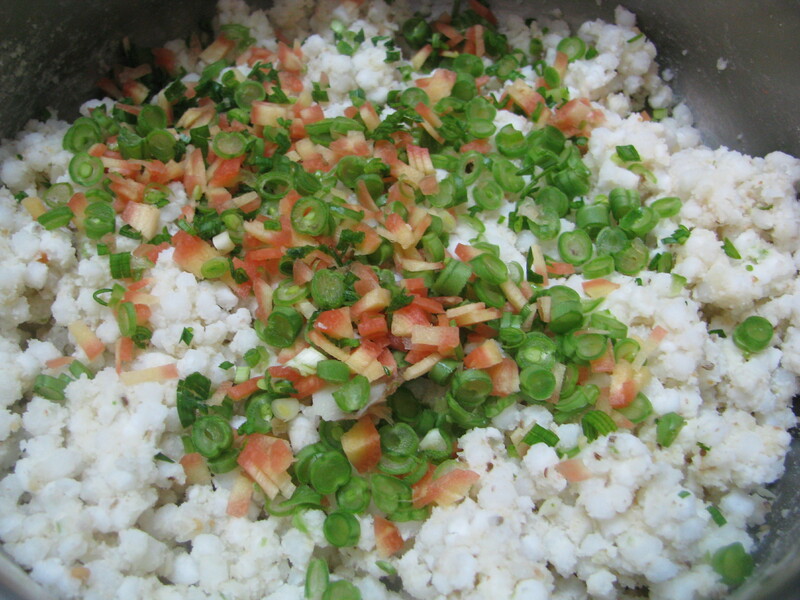 Well it doent have much nutritional value so you can add this vegetables and paneer or tofu to make it a complete food . 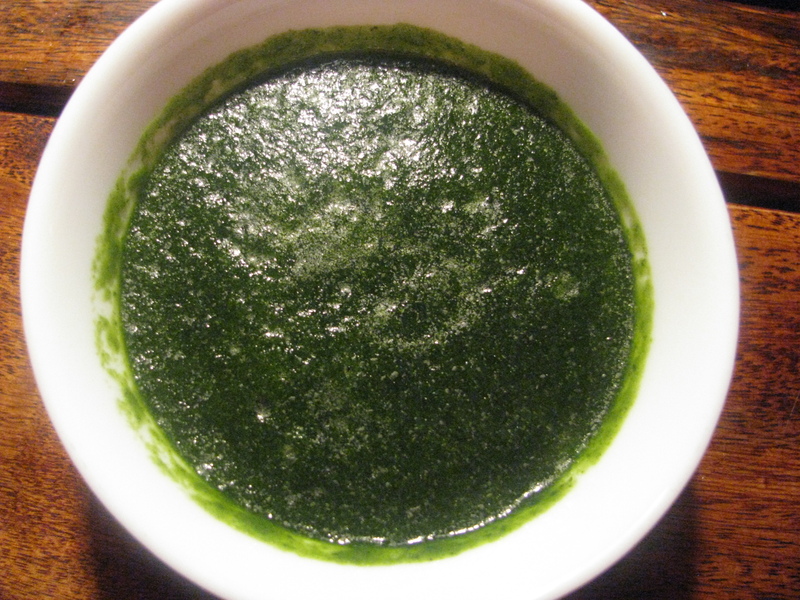 Sabudana recipes are generally made for fast ,upas or vrat ka khana . As I said Sabudana has high glycemic index so it provides instant energy during fast. 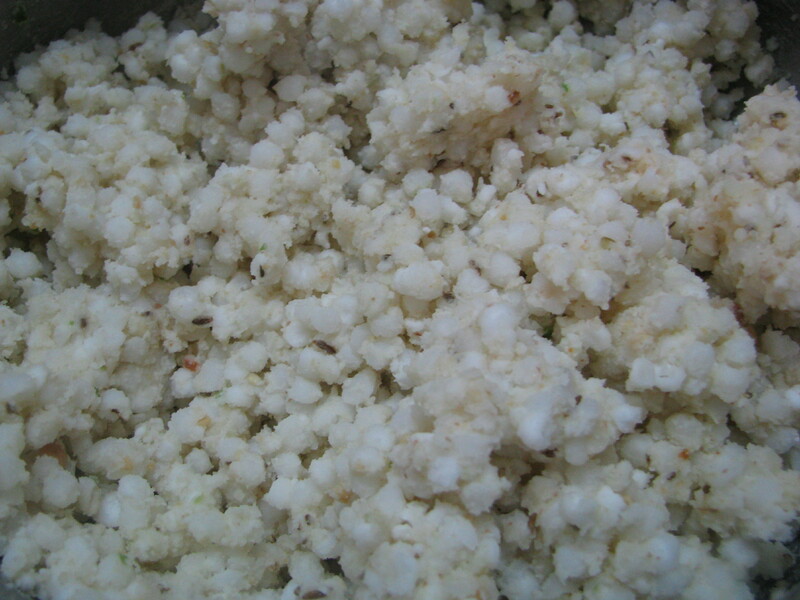 Generally most of the people make Sabudana khichadi or Vada for vrath . In navratri vrat we want to make variety of Sabudana recipe and this recipe tastes awesome for this fast . 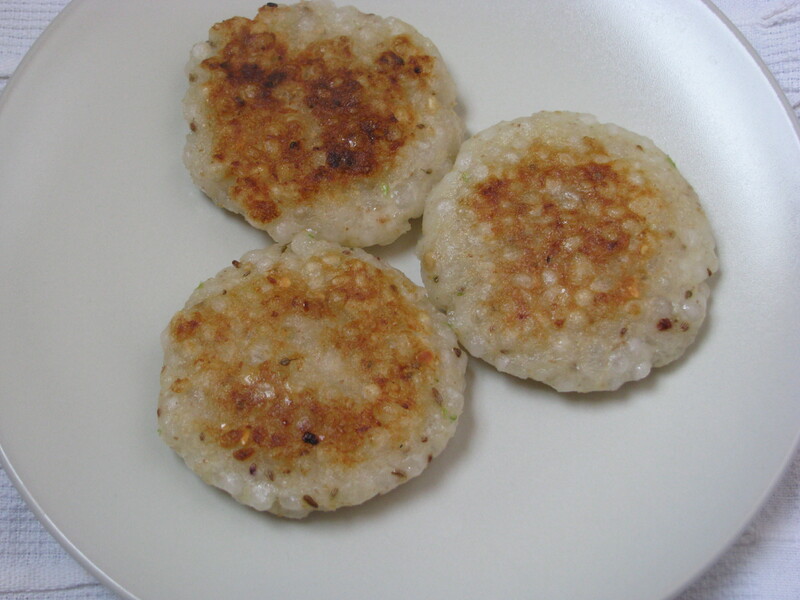 Sabudana Tikki ingredients are same as Sabudana khichdi only there are slight changes while making it . Wash Sabudana 2-3 times . Add enough water 2-3 above the level of Sabudana . Soak 6-7 hours . 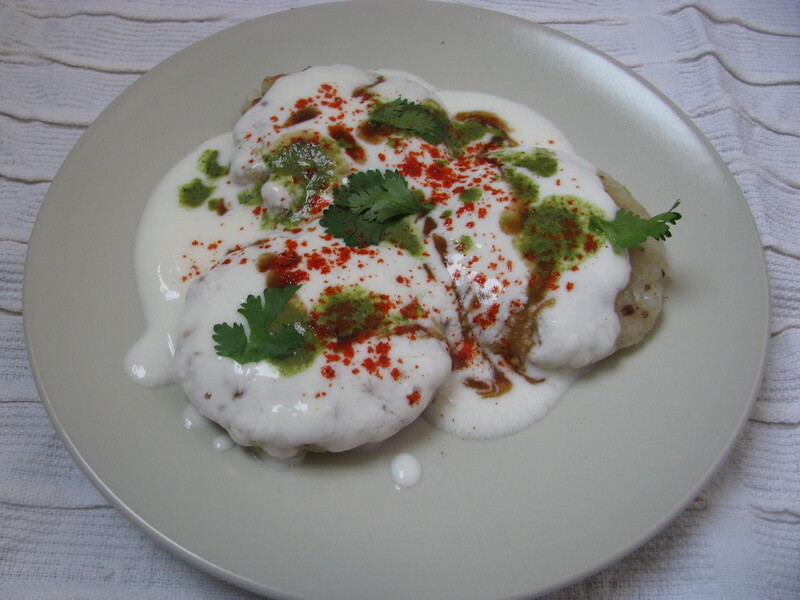 Sabudana should be very soft when you make Sabudana Tikki . Remove skin of boiled potatoes and grate (kadookas / kisun) it . Take soft soaked Sabudana and all other ingredients except oil in bowl. Mix it nicely with your hands . 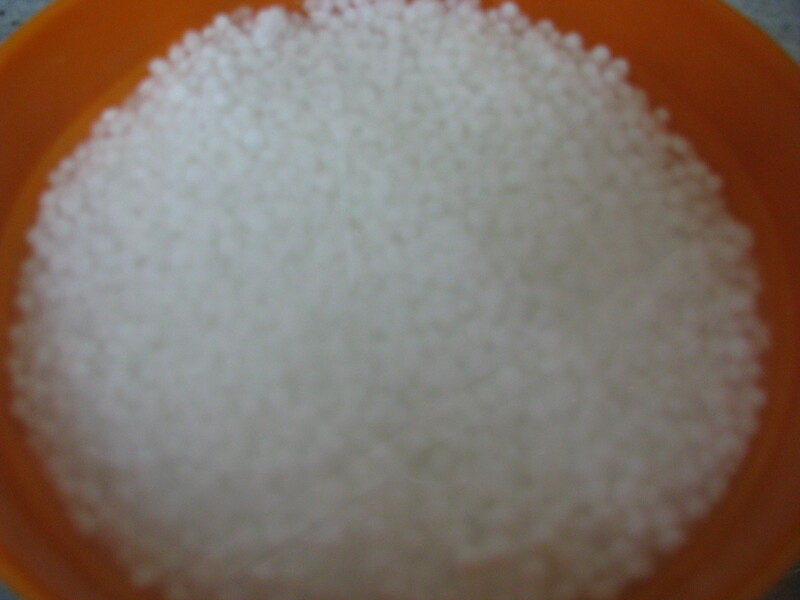 Apply little pressure with your palm while mixing the mixture. 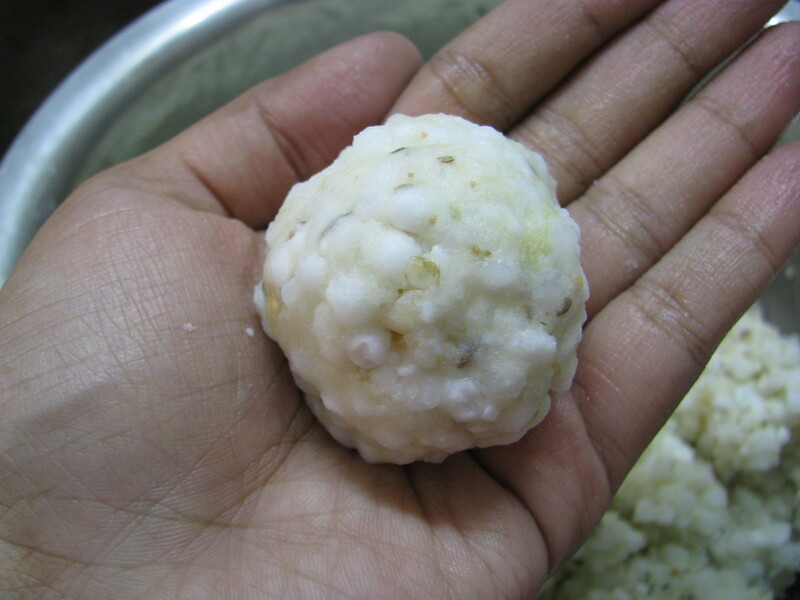 Soft soaked Sabudana ,Boiled grated potatoe and groundnut powder will five nice binding to make Tikki. Heat non stick tava / girdle or flat frying pan add little oil and spread it nicely . Press it with your palms and make small disc shape. 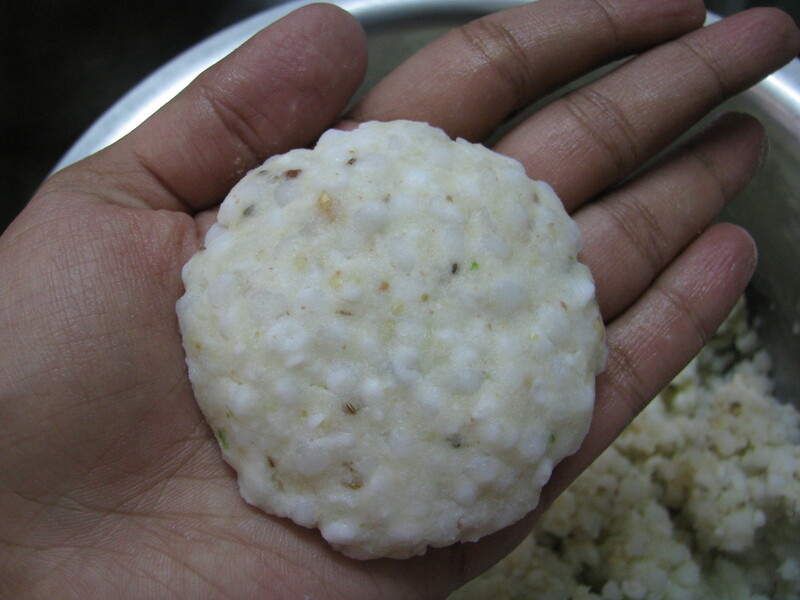 this discs are called as Tikkis in hindi . 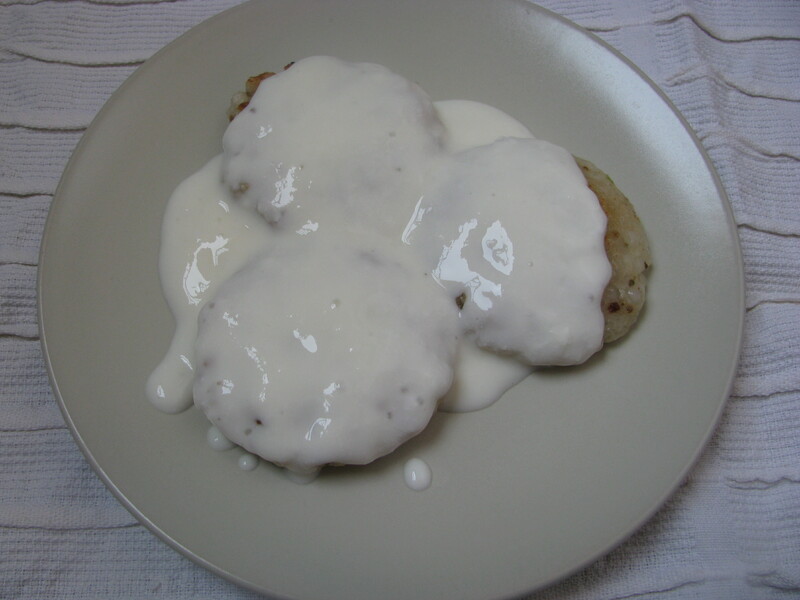 Place the Tikkis on hot tava or frying pan and cover it for 2-3 minutes on medium to low flame. Apply little oil on other side of Tikki and flip it and shallow fry it on other side . Shallow fry them on both side until golden brown . 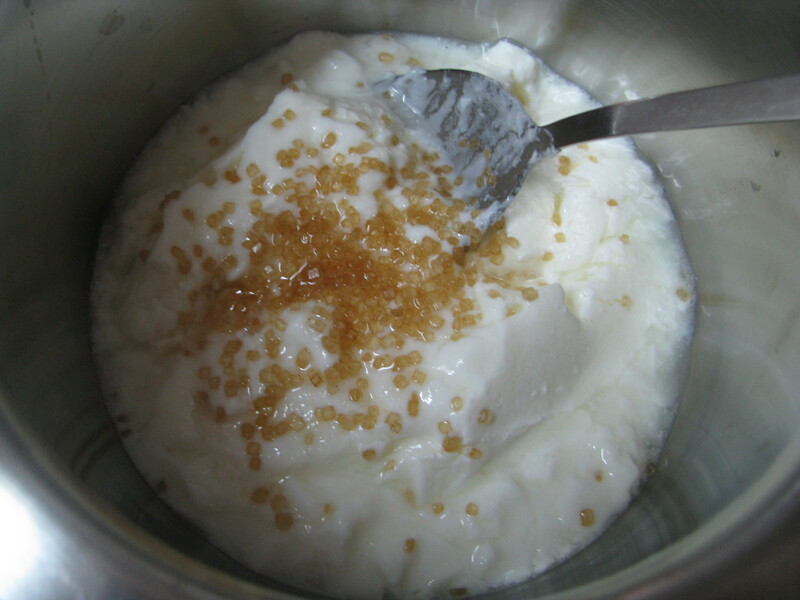 Take a fresh curd and whip it briskly. add sugar and salt to it ,mix it and keep it aside . 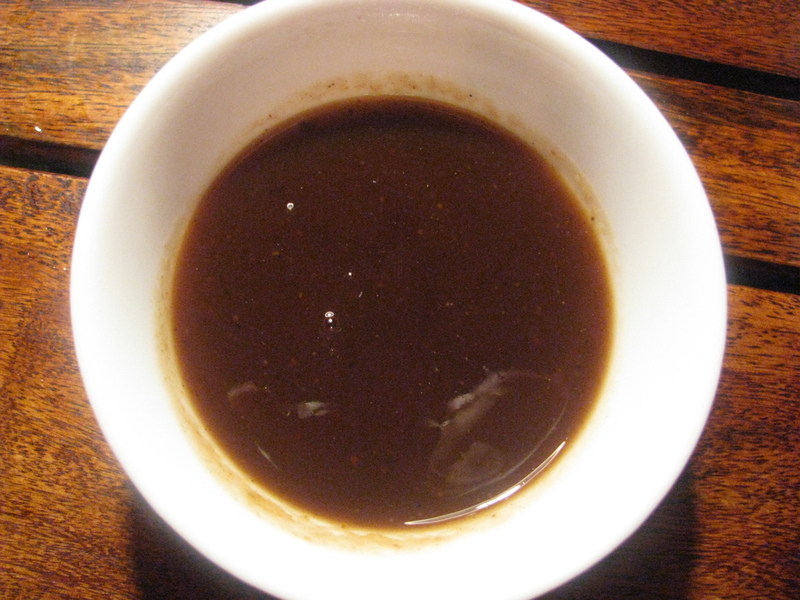 For tamarind chutney (saunth ki chutney) wash tamarind and dates nicely and soak them in hot water for ½ hour . 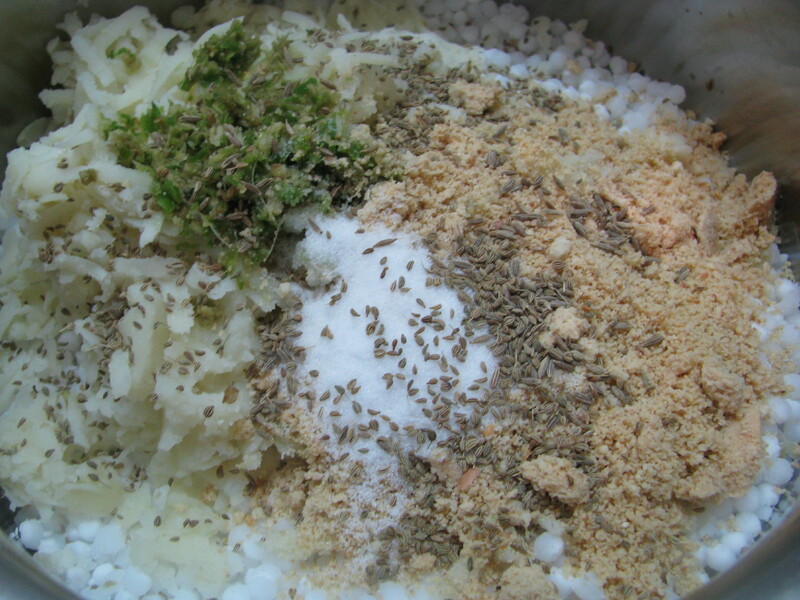 grind them together in a grinder and strain the pulp out of it . add jaggery and salt to this pulp and add ¾ cup of water to it . Boil it until it becomes little sticky. Don’t make this chutney very thick. Pour 2 -3 tablespoon curd on it . 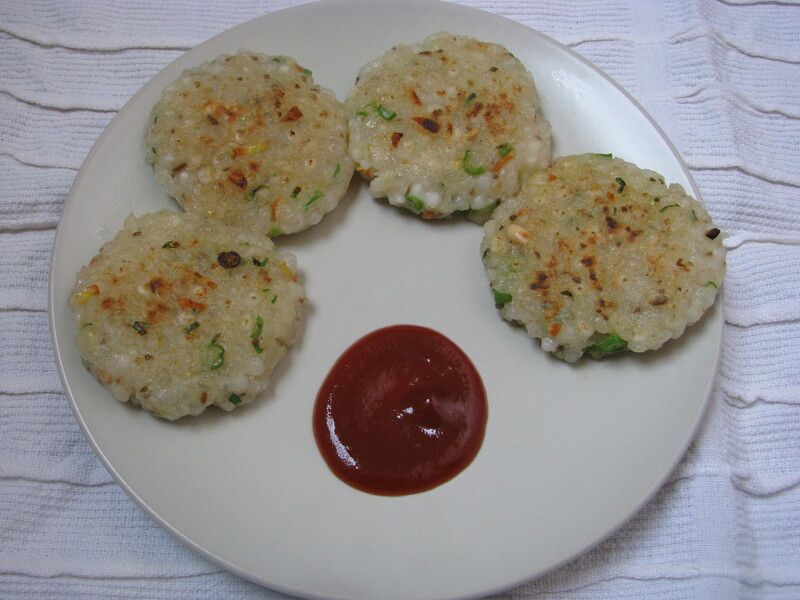 If your not making this tikki for vrath add optional vegetables to Sabudana tikki batter . If you want you can fry the tikis on medium to low flame in hot oil . My kids love the fried versionn of this Tikki . Dont add vegetables to it . 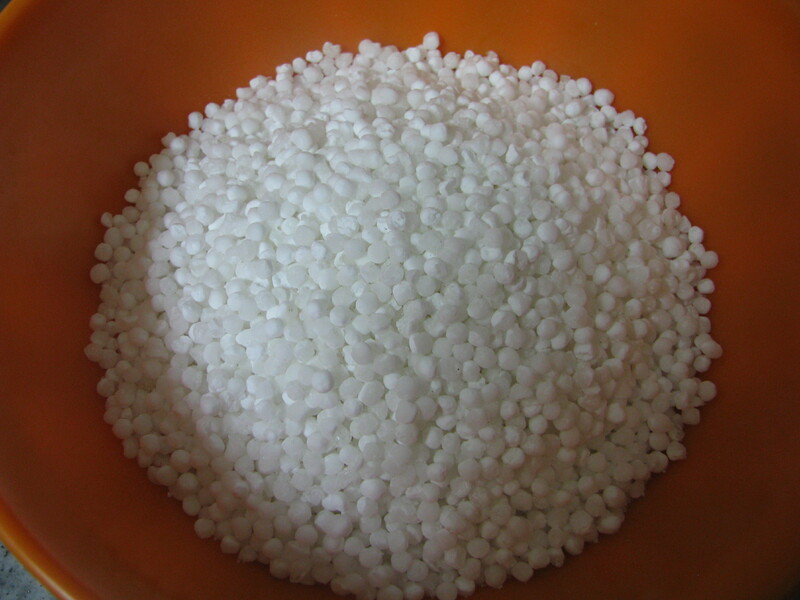 Use sendhana namak in place of normal table salt. 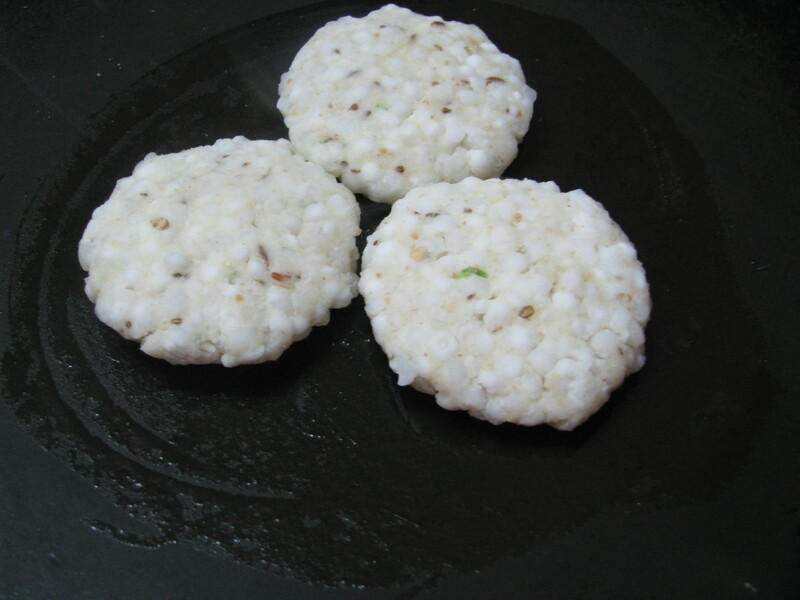 To make sabuda Tikki low in calorie go for roasted one . Its better to avoid fried food during fast. My family loves shabda a vada. I use the same recepie. But, after few experiments I realized vada comes out even better if you make them with left over khichdi. Just add boiled mash potato knead and. Make paties and fry. Great idea…Hope that it was not too oily. can i baked these tikki??????? No …it will become very chewy . u can roast it.